North America’s Hognose Snakes are well-known for their impressive bluffs, which make them appear large and, to many people, dangerous. If this tactic fails, they feign death most convincingly. Even after a lifetime of working with snakes in zoos and the field, I cannot help but be awed and amused by these harmless “frauds”. But their acts pale in comparison to those given by the world’s largest hognose snake, the 5-foot-long, thickly-built Madagascar Giant, Leioheterodon madagascariensis. This fantastic snake is gaining in popularity, and rightly so…it is far more active than its American counterparts, and, unlike some of them, does not limit its diet to toads. One can be forgiven for thinking that this impressive beast is related to the Hognose Snakes of North and South America. However, the two groups seem to be an amazing example of parallel evolution (adaptations to similar conditions) rather than close relatives. Like the American hognose snakes, it is heavily-built, yellowish-tan to dark brown in color, and marked with brown, gray or black blotches. Upturned rostral scales on the pig-like snout, similar to those seen in the New World species, assist it in burrowing and unearthing prey. Adults average 4-5 feet in length, but appear larger due to the thickness of their bodies. When cornered, the Madagascar Giant Hognose Snake even puts on the same impressive defensive display used by its American namesakes – flattening the body and hissing loudly, after which it may roll over and feign death. 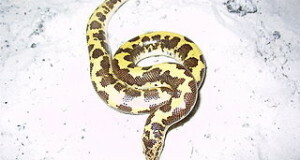 This species is sometimes offered under the common name of Malagasy Hognose Snake. The Madagascar Giant Hognose Snake is, like many of the creatures that share its home, endemic to Madagascar and the nearby islands of Nosy Be and Nosy Sakatia. 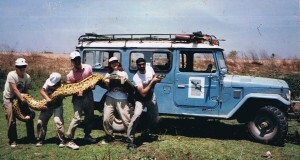 An introduced population is established on Comoro Island. Two slightly smaller related species, L. geayi and L. modestus, are also limited to Madagascar. It favors open habitats such as grasslands, sparsely-wooded savannas, forest edges, farms, and village outskirts. A colleague of mine who was studying tortoises on Madagascar said that many large individuals would appear from below ground after every rain. They seemed to materialize from nowhere and immediately began foraging for the lizards, toads and small mammals that were also roused to activity by the weather. Single-minded in their pursuit of food, the snakes would glide into and through tents and campsites without so much as a second glance at the surprised biologists they encountered. Madagascar Giant Hognose Snakes are rear-fanged, and produce mild venom that is used to overcome their prey. They are not considered to be dangerous to people, but cautions must be exercised by keepers, and the possibility of allergic reactions should be considered. They are best handled with snake hooks, and should be kept only by responsible, experienced adults. Consult your doctor before acquiring any snake that produces venom, however mild. Like American hognose snakes, Madagascar Giants tend to bluff more than bite. However, individual dispositions vary, and these always-hungry snakes may strike at nearby movements, biting their keeper in the process. Always use a long-handled tongs when offering food or working in the cage. Madagascar Giant Hognose Snakes are quite active, especially when compared to their American counterparts. Youngsters may be accommodated in 20 gallon aquariums, but adults should be provided a tank or custom-built cage measuring at least 4-5’ x 4’. The enclosure’s screen lid must be secured by cage clips, as they are very powerful, even by snake standards. Natural burrowers, Giant Hognose Snakes are most comfortable below-ground. A deep layer of cypress mulch or eucalyptus bark is preferable to newspapers as a substrate. A dry cave may also be utilized. Madagascar Giant Hognose Snakes fare best at a temperature range of 80-85 F. An incandescent bulb should be used to create a basking spot of 90 F.
Not nearly as picky as North America’s Eastern Hognose Snake, which largely confines its diet to toads, the Madagascar Giant Hognose takes toads, frogs, lizards, small mammals and the eggs of tortoises, lizards and birds with equal gusto. Captive adults readily accept mice and rats, but hatchlings often prefer lizard or toad-scented rodents at first. In time, they can be weaned-over to un-scented mice. Captive-bred individuals have been quite scarce in the past, but hopefully this situation will change as more reptile enthusiasts discover the charms of these spectacular snakes. 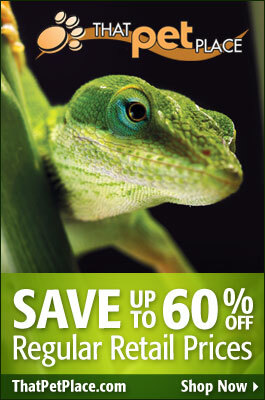 A winter cooling period of 65- 68 F, with a basking spot of 80 F, will help to stimulate reproduction. Females produce up to 12 eggs, which hatch after an incubation period of approximately 2 months at 85 F. Hatchlings average 12 inches in length. Hi. I work at the El Paso Zoo and am researching tank and care requirements for this snake. Specifically I am looking for imformation on humidity requirements (if any). As you may imangine El Paso is usually a low humidity environment (usually 11-14%) so I am trying to find out if extra humidity should be added and, if so, what is a good percentage to shoot for? Any suggestions or help you could give would be most appreciated.